Home / events / polident / Polident offers "A healthy life in every bite"
Polident offers "A healthy life in every bite"
GlaxoSmithKline, the maker of Polident, in cooperation with dental experts, launched an advocacy event called " A Healthy Life in every Bite" last June 6, 2013 at Onstage, Greenbelt 1. It aims to highlight the effect of improper use and care for dentures, which can ultimately lead to health issues among denture wearers. Polident had invited most of the senior citizens in Makati to join the gathering, since a significant percentage of denture wearers are senior citizens. Polident made sure that the senior citizens had fun this day by preparing a lot of activities like singing and dancing contests, raffled plenty of prizes and prepared snacks for everyone. In the activity, participants were taught how to take advantage of the products that Polident offers that help care their dentures. 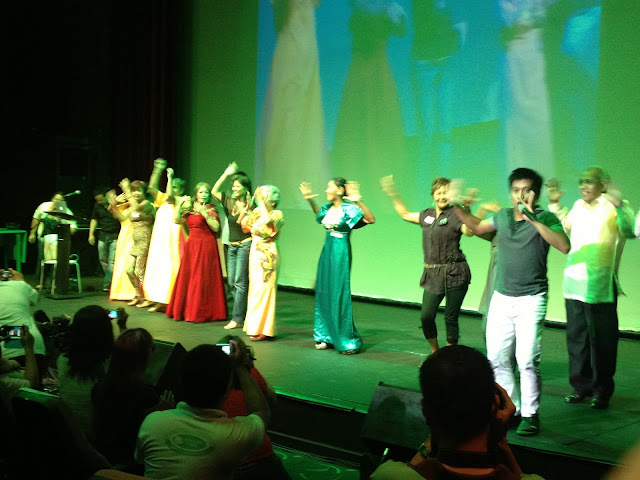 The program started with an ice breaker, making everyone dance the famous "Cha-Cha" of Ryza Mae from Eat Bulaga. 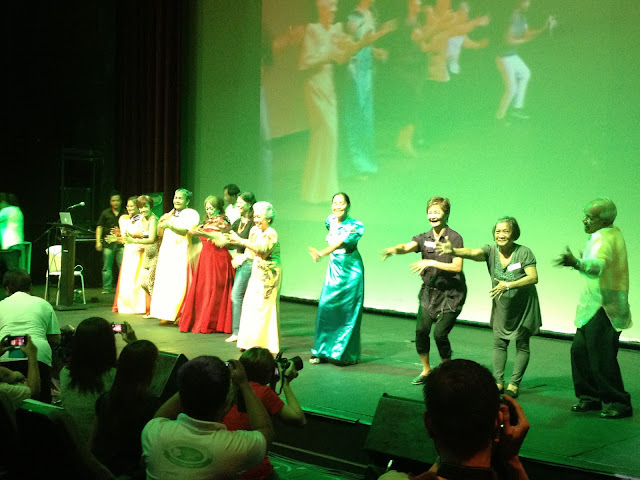 It was fun watching everyone dance to the "Cha-cha". They even gave prizes to the person who danced the "chacha" best. 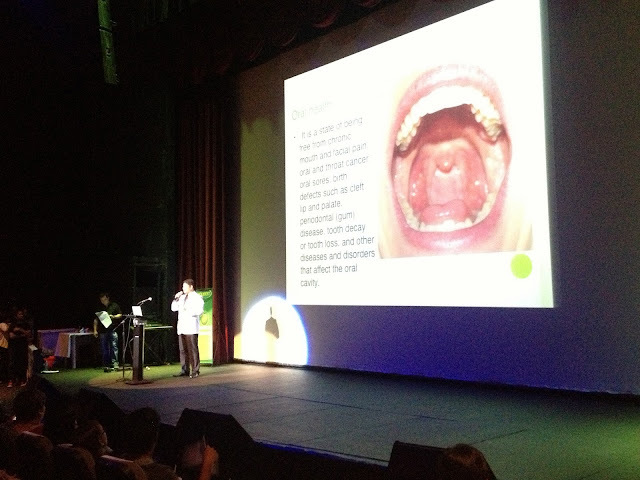 Dr. Nunez discussed that a denture is only good up to a maximum of 5 years. And it is important for them to have a regular dental checkup in order to assess if the denture fits properly. -A lot of denture users brush their dentures with regular toothbrush and toothpaste. Dr. Nunez mentioned that this is one big misconception because dentures are more porous which requires more cleaning. Brushing it with regular toothpaste will create abrasions on the dentures where food particles would get stuck, harboring bacteria which causes not only bad breath but bacteria that may cause stomatitis, pneumonia and other diseases. Dr.Nunez talked about ways to take care of dentures and mentioned the usage of denture adhesives and cleansers as one of the best way to care for dentures. 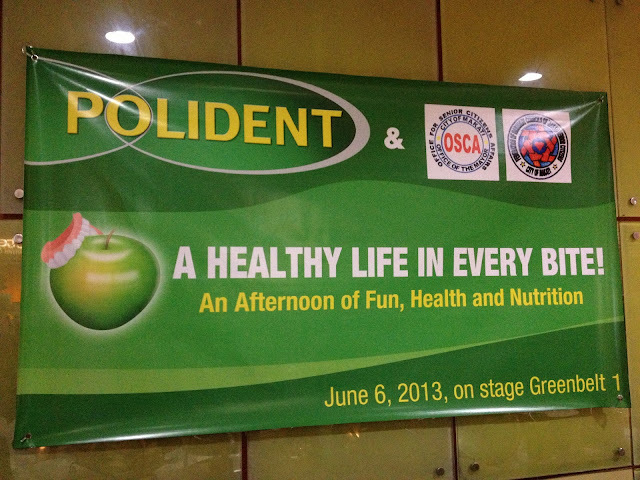 He introduced Polident's products, the dental adhesive cream and cleansing tablets. Polident specializes on denture care, thus offering products that address the needs of most denture wearers. Polident offers a denture adhesive cream and powder which gives denture wearers up to 12 hours of hold and properly fitting dentures, giving them the ability to eat, speak and smile with confidence. The cream can help ensure that denture wearers are able to eat the food they want and need, in turn enabling them to get the nutrition they need to live a healthy life. Polident also offers denture cleansing tablets, which kills 99.9% of odor-causing bacteria proven in lab testing. The tablet cleans the dentures without scratching, which also preserves the life of the dentures. For the first time, They are addressing a health issue that had always been pAut in the back burner. Most denture wearers, the senior citizens are undeserved sector, so much that we didn't see one of their prevalent health concerns and its cause. It is the first launch of their advocacy to promote proper care for the denture wearers. They are planning for a nationwide dissemination of information of proper health care for denture wearers on major cities in Metro Manila, and would plan to move it up to other locations like Cebu, Davao, Cagayan de Oro and other cities in Northern Luzon.